Daniel Radcliffe is to return to the London stage in a 50th anniversary production of Sir Tom Stoppard's play Rosencrantz and Guildenstern are Dead. The former Harry Potter star will play Rosencrantz opposite Joshua McGuire's Guildenstern at the Old Vic theatre. The play, first staged in 1966, replays Shakespeare's Hamlet from the point of view of two hapless minor characters. The production, to be directed by David Leveaux, will run from 25 February to 29 April 2017. 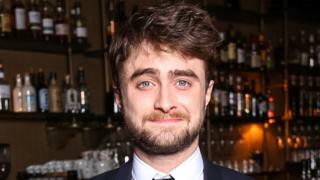 Radcliffe, 27, last appeared on stage in London in The Cripple of Inishmaan in 2013. The actor is a self-confessed fan of Sir Tom's work, revealing in 2014 that he "would love" to appear in the writer's early play. Radcliffe and McGuire previously appeared together in the Sky Arts series A Young Doctor's Notebook. McGuire, who last appeared at the Old Vic in Future Conditional in 2015, previously played Hamlet at Shakespeare's Globe in 2011. His film credits include Mike Leigh's Mr Turner and Richard Curtis romantic comedy About Time. Matthew Warchus, the Old Vic's artistic director, said it had been "a delight" to find out that the two actors were friends in real life. "There is the exciting potential they will bring in an audience who would otherwise maybe not come," he told the London Evening Standard. Rosencrantz and Guildenstern are Dead will be followed at the Old Vic by a production of Georg Buchner's Woyzeck starring Star Wars actor John Boyega.